Even though we have not had a winter to speak of, I am done with the drab look of my garden. I am sure many Easterners who are being bombarded with icy cold winter are also just plain tired of it. So for all of you that are missing the pleasures of warmer weather, this one is for you. 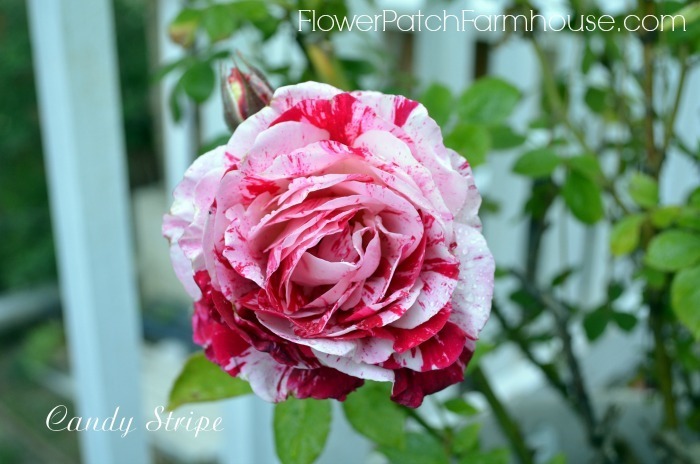 Grab a hot beverage of choice, sit back and enjoy my very own Rose Parade. 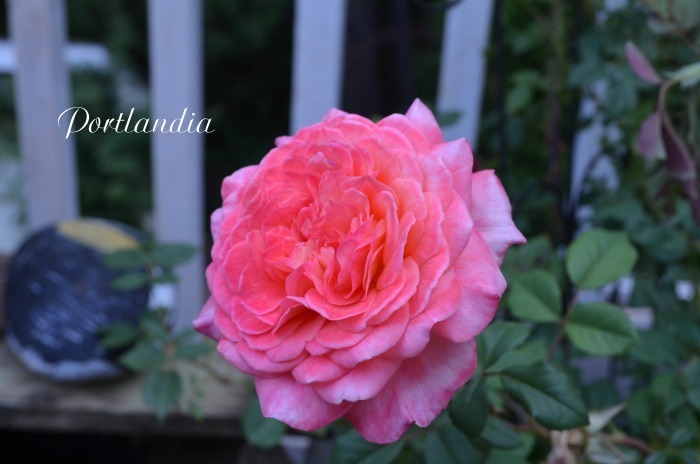 This is a long post, many, many photos to share and I did not include all of my roses! With an impending drought this summer I am begging my husband to help me put in a grey water system. 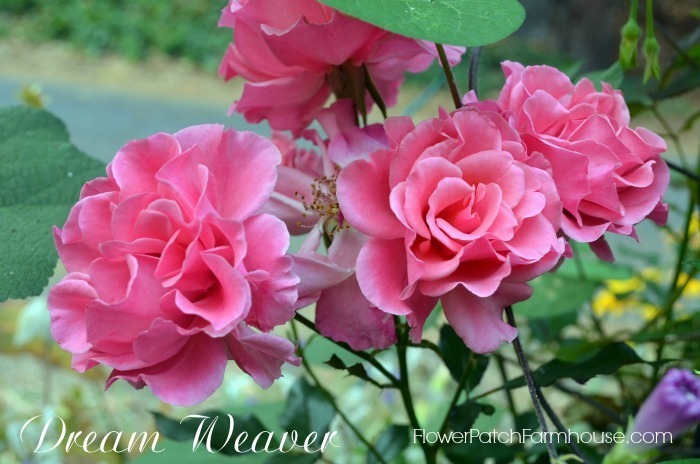 Just to keep them all alive, most of the other flowers I grow are all drought tolerant and will be fine, but my precious roses need their water. 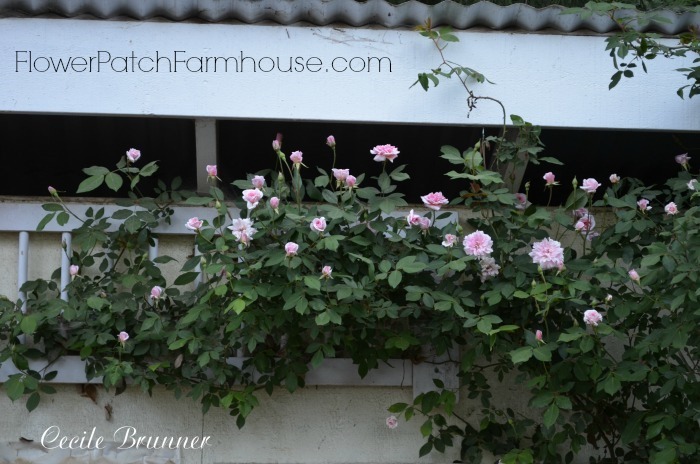 The Cecile Brunner literally covers my chicken house now. I have to keep trimming it so I can get in the door. Some I will need to move and I should do that soon while they are dormant. Doesn’t these beauties just brighten your day? 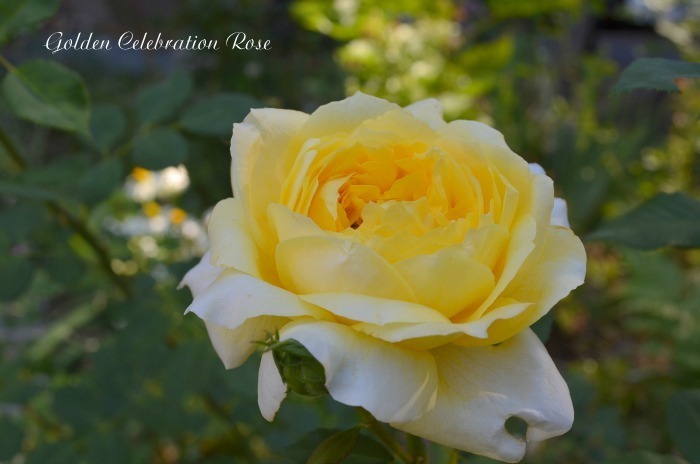 This beautiful Golden Celebration is like a chameleon, one day it is bright yellow and the next a bloom can be more apricot. 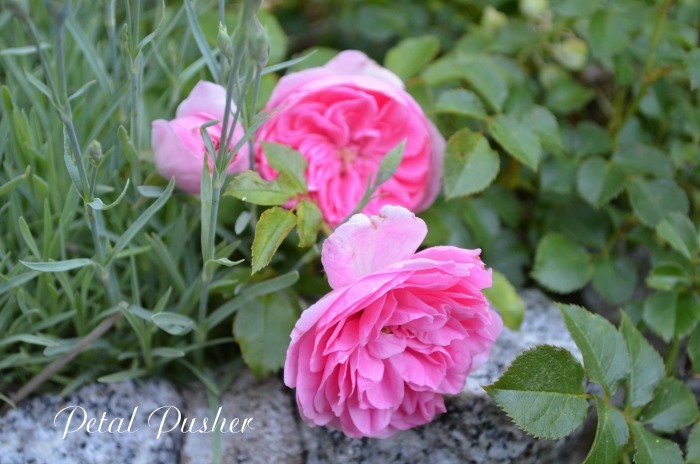 Graham Thomas was my very first David Austin English rose, it did so well here and I love it so much that I bought nothing but DAEnglsh roses for a long time. This crimson red rose was dug up from beside the well house of my grandparents home when we sold it. My husband broke a couple shovels getting it out of that black adobe dirt but here it is, thriving and gorgeous all summer long. 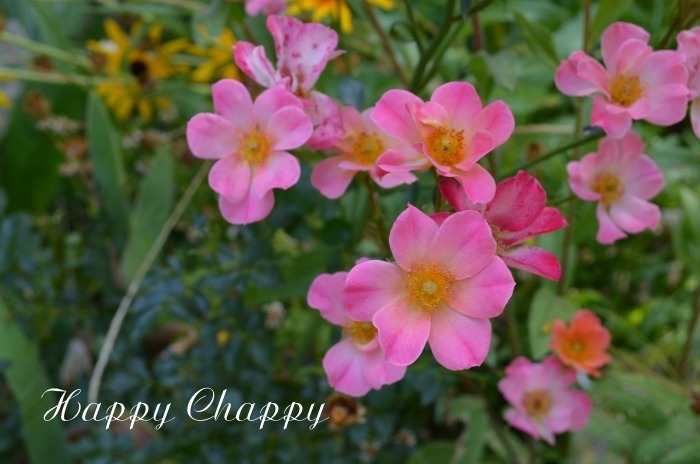 This is a fun little ground cover rose with varying colors of single blooms. One of my new ones, a hearty climber that will climb 12 feet and more. I need to find a good spot for it yet, it is still in a pot on my back deck. The only tree rose I own. I picked this up at a year end sale at Wal-Mart, the best $6 I spent that day. 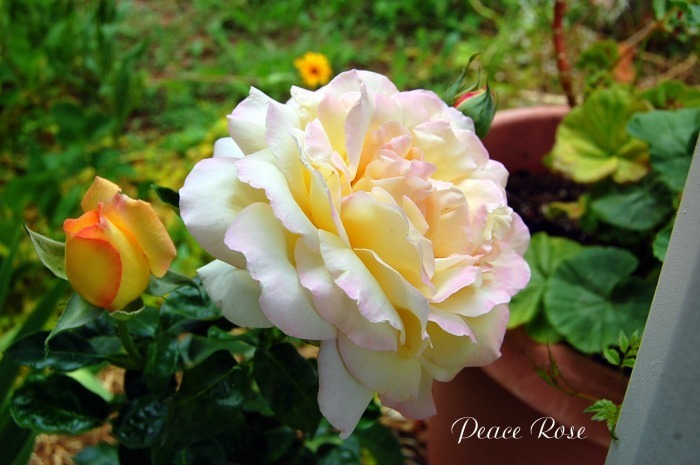 Peace rose produces the fatest, fluffiest blooms. It is planted in a bad spot and it still performs. 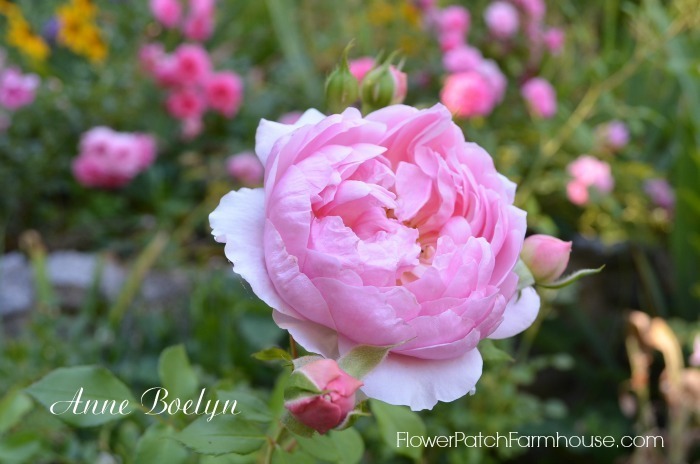 Petal Pusher is one of my favorites, it is covered with these luscious pink blooms from the start of summer and it is the last one blooming in Fall. Portlandia is another hearty climber. 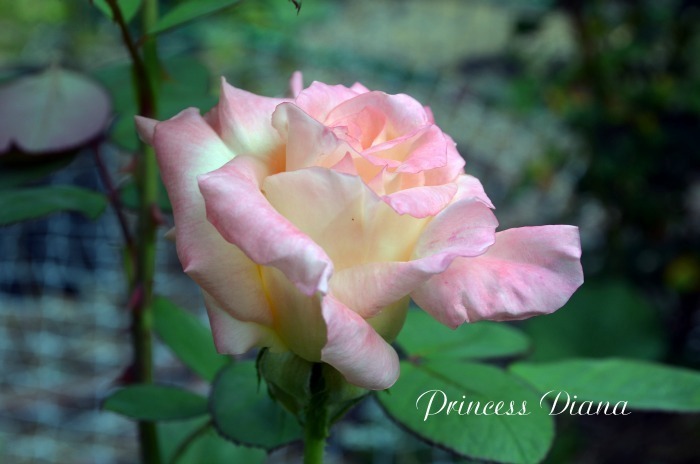 Depending on the brightness of the sun the blooms of Princess Diana deepen. This is one tough old girl, always very stately. And that is the end of our rose parade today. I have many others that I will share another time. 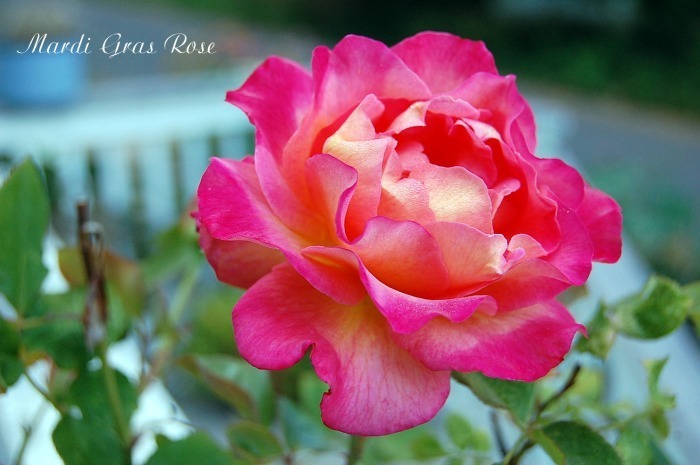 Your west coast roses are true beauties. 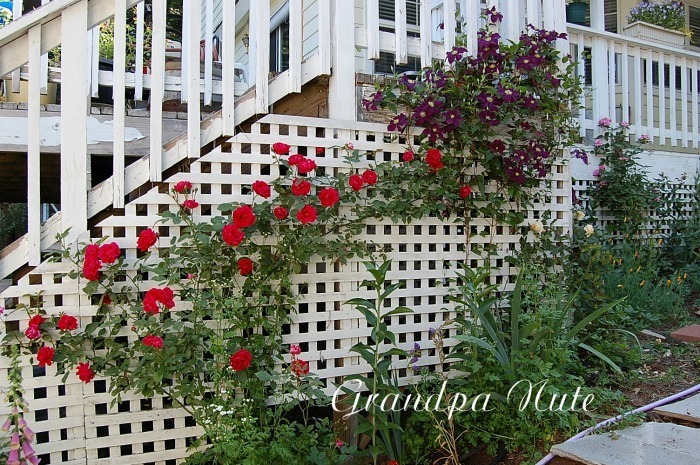 You have so many varieties; the ones on the trellis from your grandparents’ home must be a real treasure. Although the view is quite different from the snow covered garden here, fortunately I enjoy the snow and snuggled-up pace of winter as well. Come spring and summer, I’ll be sniffing some roses. Thank you for sharing your beautiful blooms at Sunlit Sunday. We live in the mountains of N. California and usually are buried in snow this time of year. But this year we have not had a winter, yet. Even the ski resort is lacking decent snow. That could change but nothing in the forecast looks promising. It does give me the chance to move some plants and roses while they are dormant though and since it has been a lovely 50 + degrees daily it is quite comfy to work out there. 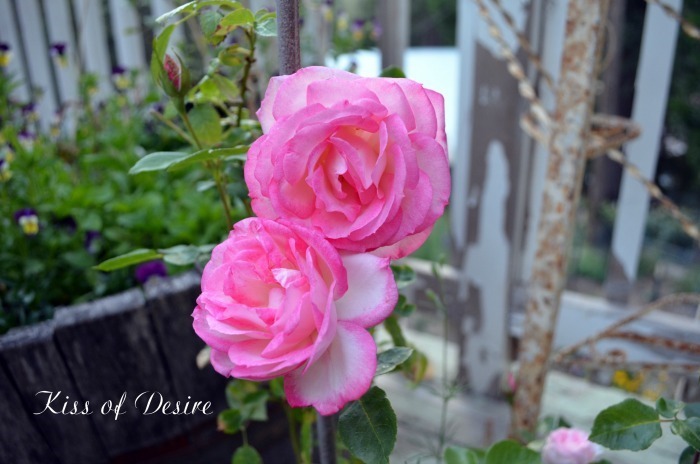 Such beautiful roses and so lovely to see on a cold winter day. 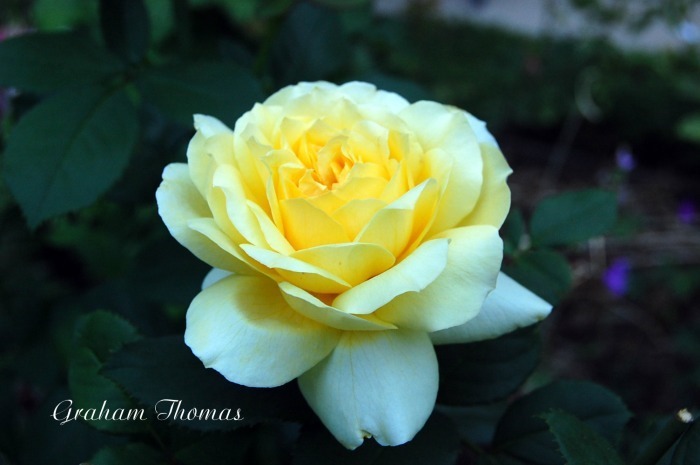 I did enjoy reviewing and choosing photos of my roses to share. It made a drab winter day bright. 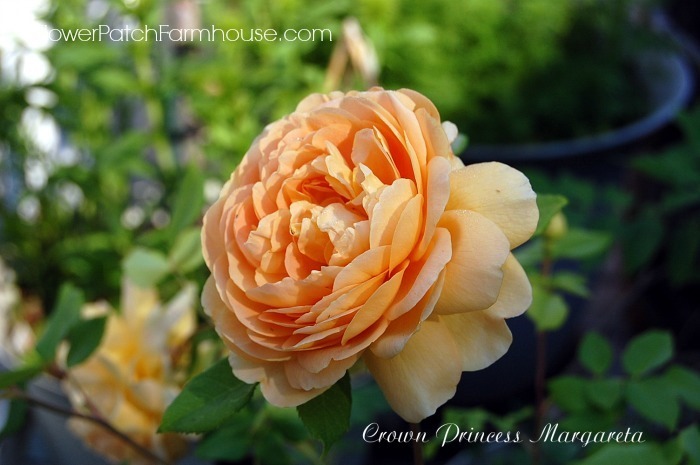 Oh this is a post I love as I’m besotted with old heritage roses. Abraham Derby is a beauty and my other fave in this parade is Peace. It’s summer in my neck of the woods so we have plenty of floral beauty about. It’s a wonderful reminder for everyone battling the depths of winter. I really enjoy the English roses, they do so well here and they are just luscious to view and they smell just as lovely as they look. 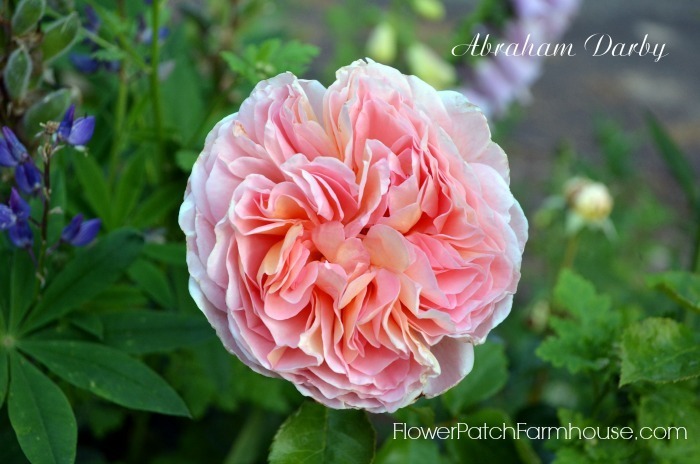 Abraham Darby was one of my first acquisitions and I have added many more since. Thank you for sharing your rose parade. Lately I am saying “I am living in the North Pole”, I am sick of winter, cold, snow, and ice. I need spring, I need flowers. Your roses is just what I needed to see. I feel much better now. It reminds me of my summer walks enjoying peoples roses and dahlias. 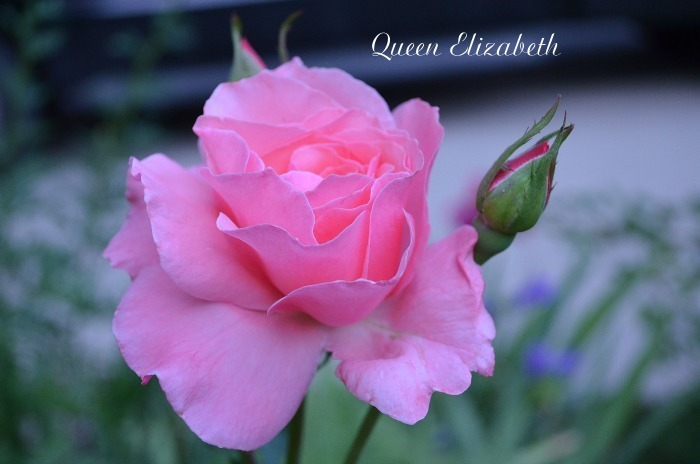 Thank you so very much from this rose starved Canadian for sharing the beauty of your roses. I am so glad I could brighten your days and I do hope that the cold will mellow out soon. We on the other hand, need some big time rains and snow to make up for not having anything to speak of yet this winter.